Point2 Homes gives you far more than a simple list of houses for sale. Get instant access to a lot of relevant information about Parksville, BC real estate, including property descriptions, virtual tours, maps and photos. The search results pages also have a wealth of information on Parksville, BC, if you scroll all the way down. 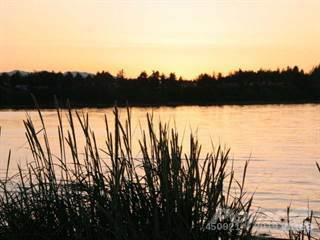 There are 167 houses for sale in Parksville, BC. Searching homes for sale in Parksville, BC has never been more convenient. With Point2 Homes, you can easily browse through Parksville, BC single family homes for sale, townhomes, condos and commercial properties, and quickly get a general perspective of the real estate prices. Also, you’ll never miss a bargain if you filter listings based on house price drops in the past six months. Use the map view to find Parksville, BC homes and apartments for sale, based on amenities or city features that you may want close by. You can close in on a specific neighbourhood or area by simply drawing around them with the polygon or radius tools. Stay informed about the latest entries on the real estate market by saving your searches. This way, you get new listings in your inbox, daily or every week, based on your preferences. If you’d like to get in touch with a professional, agents are displayed next to their listings, and they’re easy to contact through the online forms. If you want more options, you can click the Tools tab and Find an Agent, and you’ll get a list of helpful and knowledgeable real estate agents in Parksville, BC. Visit the Point2 Homes blog and you can find up to date expert advice on many markets throughout Canada, regular market reports, neighbourhood scoops in cities throughout the provinces, real estate deals and useful recommendations. Parksville is located on the eastern edge of Vancouver Island, along the coast of the Salish Sea. This town of over 11,000 people is close to the communities of Qualicum Beach, Coombs, Hilliers, Errington, and Nanoose Bay. Parksville covers 14.44 square kilometers between Englishman River and French Creek. Two major highways converge in the town and provide access to the larger cities of Nanaimo and Victoria, south of Parksville. The western section of Parksville is mostly residential, with some commercial areas located along Island Highway W. An RCMP office, churches, bed and breakfasts, and some restaurants and shops can be found in this section. Most of Parksville’s commercial offerings can be found in the central section. There are plenty of restaurants, retail stores, service companies, and entertainment options here. This section also includes park areas, a community centre, and resorts. Tourist attractions and accommodations are most common in the eastern section of town, with a provincial park, campgrounds, resorts, walking trails, a museum, and quaint cafés. Small pockets of residential areas are also found here, and this section is where the Inland Island Highway and Island Highway E meet. Rathtrevor Beach Provincial Park is located in the eastern section of the town and is used for canoeing, hiking, fishing, cycling, wildlife viewing, windsurfing, swimming, camping, and picnicking. The park has forested areas, a sandy beach, campsites, picnic areas, a concession area, an outdoor amphitheatre and a nature house used for interpretive programming, walking trails, restroom facilities, playgrounds, and shower facilities. Parksville Community Park, located on the shoreline, offers 39 acres of public space that includes a waterfront walkway, horseshoe pits, a lacrosse box, a playground and waterpark, a picnic shelter and gazebo, a kite field, restroom facilities, a skateboard park, tennis courts, a sports field, ball diamonds, and beach volleyball courts. Paradise Mini Golf and Fun Park features mini golf courses, bumper boats, an arcade, a concession area, and an RV park. The two mini golf courses each have 18 holes and offer fun themes to keep everyone entertained. The Turf ‘n Surf course has a waterwheel, lighthouse, and windmill, while the Treasure Island course has a pirate theme with ships and a treasure cave. The service, construction, and business/financial/administrative industries are Parksville’s largest economic contributors. Tourism is a large part of the service industry, and tourist attractions within the town include parks, a community arts council, a heritage park, tour companies, a bowling alley, and golf courses. Just outside of town, there are additional tourist attractions such as a country market, provincial parks, wildlife sanctuaries/reserves, and golf courses. Along with the tourist attractions, there are motels, hotels, bed and breakfasts, RV parks, and other forms of accommodation, as well as restaurants and shops. Reasonably priced single-family homes and more expensive luxury estates can be found in the western section of Parksville. Most lots are large and give a rural feel to each property. 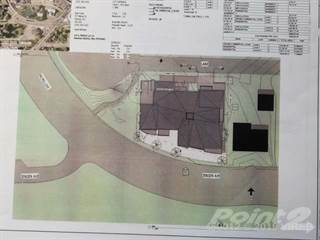 High-priced vacant land is also available here, with land closest to the water being most expensive. Condos are a common option in the central section of town and choices range from more affordable units to higher priced luxury units. Most of the condo buildings are located on or near the waterfront, providing spectacular views. Commercial space is also common here, and is usually either retail- or service-based. Single-family homes tend to be lower in cost than those in the western section of town, and vacant land is also available in some areas. In the eastern section of Parksville, condo options are most common, along with tourism-related commercial property. Condos tend to be newer builds at affordable prices and normally have beautiful views. Vacant land can be pricey in this section. Most of Parksville’s schools are operated by School District 69 Qualicum. 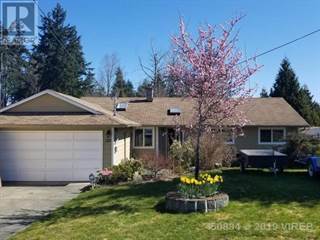 Schools in the town include Springwood Elementary, Ballenas Secondary School, Qualicum Beach Middle School, Winchelsea Elementary School, Parksville Elementary, and Oceanside Elementary. Other schooling options can be found in nearby communities and include Errington Elementary, Kwalikum Secondary School, Arrowview Elementary School, and Qualicum Beach Elementary School. Post-secondary options in town include Vancouver Island University (Parksville campus) and Discovery Community College. Other options can be found in nearby communities and include North Island College, Excel Career College, and Sprott Shaw College.